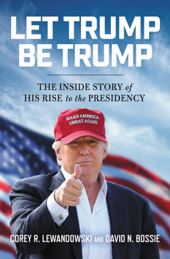 Let Trump Be Trump: The Inside Story of His Presidency is the ultimate behind-the-scenes account of how he became president of the United States. Donald Trump was a candidate—and now a president—like none that have come before. His startling rise to the White House is the most shocking political tale in the history of our republic. Much has been written about this event, but all of those words come from authors outside the orbit of Donald Trump. Written by the guys in the room—two of Trump’s closest campaign advisors—Let Trump Be Trump is the eyewitness account of the stories behind the headlines. From the Access Hollywood recording and the Clinton accusers, to one-time campaign manager Paul Manafort, to the last-moment comeback and a victory that reads like something out of a fiction novel, Let Trump Be Trump pulls back the curtain on a drama that has mesmerized the whole world—including the palace intrigues of the Mooch, SeanSpicer, Lance Preibus, Steve Bannon, and more. By turns hilarious and intimate, Let Trump Be Trump also offers a view of Donald Trump like you’ve never seen him, the man whose success in business was built not only on great skill but on loyal relationships and who developed the strongest of bonds with the band of outsiders and idealists who became his team because they believed in him and his message. Written by Trump’s campaign manager, the fiery Corey Lewandowski, and Dave Bossie—the plaintiff in the famous Citizens United Supreme Court case—who helped steer the last critical months of the campaign, this riveting book gives us an inside look at the Trump campaign and the presidency, so far. Hardback, 296 pages. Corey R. Lewandowski currently serves as President and CEO of Lewandowski Strategic Advisors, LLC, a government, public affairs, and crisis communications consulting company as well as a TV political commentator. He provides on-air analysis on political news of the day via his in-depth understanding of the political process. He is a contributor to The Hill newspaper and serves as a visiting fellow at Harvard University. Find him on Twitter @CLewandowski. David N. Bossie has served as president of Citizens United since 2001. Beginning in August 2016, Bossie served as Deputy Campaign Manager for Donald J. Trump for President. He was then named Deputy Executive Director for the Trump Presidential Transition Team. He is currently a Fox News contributor. Bossie previously served as Chief Investigator for Committee on Government Reform and Oversight in Congress leading the Clinton Investigation. Find him on Twitter @David_Bossie. “Redistribute the wealth” and restore America . . .
A Final Word . . .
“The great and grand dream of America that all men are created free and equal, endowed with the inalienable right of life and liberty and the pursuit of happiness— this great dream of America, this great light, and this great hope—has almost gone out of sight in this day and time, and everybody knows it; and there is a mere candle flicker here and yonder to take the place of what the great dream of America was supposed to be. The people of this country have fought and have struggled, trying, by one process and the other, to bring about the change that would save the country to the ideal and purposes of America. 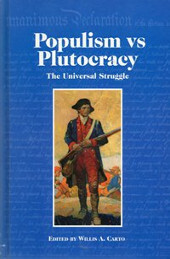 They are met with the Democratic Party at one time and the Republican Party at another time, and both of them at another time, and nothing can be squeezed through these party organizations that goes far enough to bring the American people to a condition where they have such a thing as a livable country. We swapped the tyrant 3,000 miles away for a handful of financial slave-owning overlords who make the tyrant of Great Britain seem mild. Much talk is indulged in to the effect that the great fortunes of the United States are sacred, that they have been built up by honest and individual initiative, that the funds were honorably acquired by men of genius far-visioned in thought. The fact that those fortunes have been acquired and that those who have built them for the financial masters have become impoverished is a sufficient proof that they have not been regularly and honorably acquired in this country. 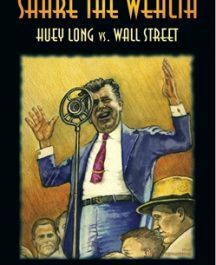 They pass laws under which people may be put in jail for utterances made in war times and other times, but you cannot stifle or keep from growing, as poverty and starvation and hunger increase in this country, the spirit of the American people, if there is going to be any spirit in America at all. Ceram was born in Berlin. During World War II, he was a member of the Propagandatruppe. His works from that period include Wir hielten Narvik, 1941, and Rote Spiegel – überall am Feind. Von den Kanonieren des Reichsmarschalls, 1943. 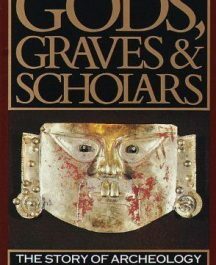 In 1949, Ceram wrote his most famous book, Götter, Gräber und Gelehrte — published in English as Gods, Graves and Scholars: The Story of Archaeology — an account of the historical development of archaeology. Published in 28 languages, Ceram’s book eventually received a printing of over 5 million copies, and is still in print today. His very first article in this vein was about Epigraphy entitled: On the Decipherment of an Unknown Script and was published in the Berliner Illustrierte (1935). 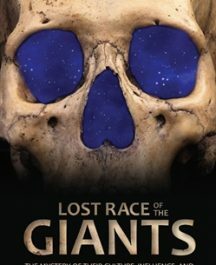 Other books by the author include The Secret of the Hittites (1956),March of Archaeology (1958) and The First American (1971), a book on ancient North American history. Under his actual name he wroteYestermorrow: Notes on Man’s Progress (1961); Hands on the Past: The Pioneer Archaeologists Tell Their Own Story (1966).